I still remember how I struggled to find another imaginary bowl to contain my overflowing excitement moments before my very first cable car ride in Hong Kong. Like all first times, the thrill was just immeasurable. I remember that very first step into a gondola; I almost jumped from the platform into it. I remember that moment when we reached the very peak of the line; I was scared and happy at the same time, and not many things can make me feel that weird mixture of emotions. 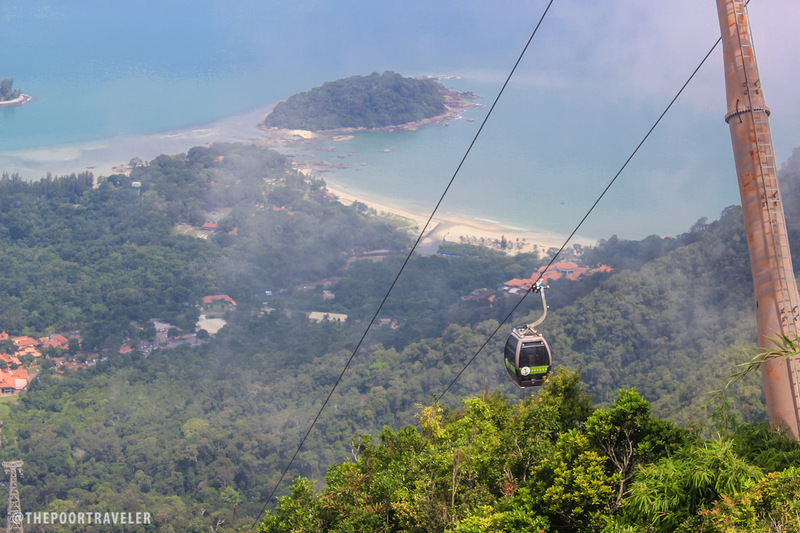 It was that milestone in Hong Kong that got me too excited for my second gondola ride in Langkawi. The landscapes were playing hide-and-seek with us that afternoon. It had been drizzling. 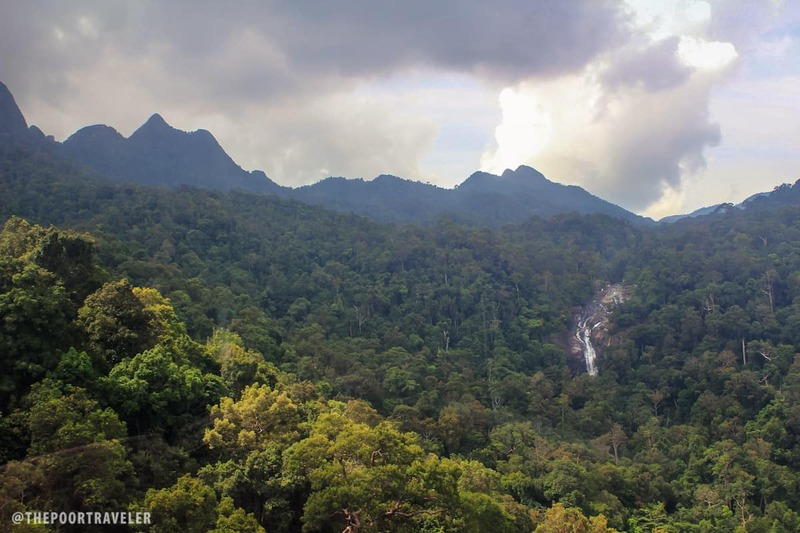 The clouds were scattered over the lush and heavily contoured landscapes of Langkawi Island. Still, we hopped into one of the gondolas and hoped for the best. 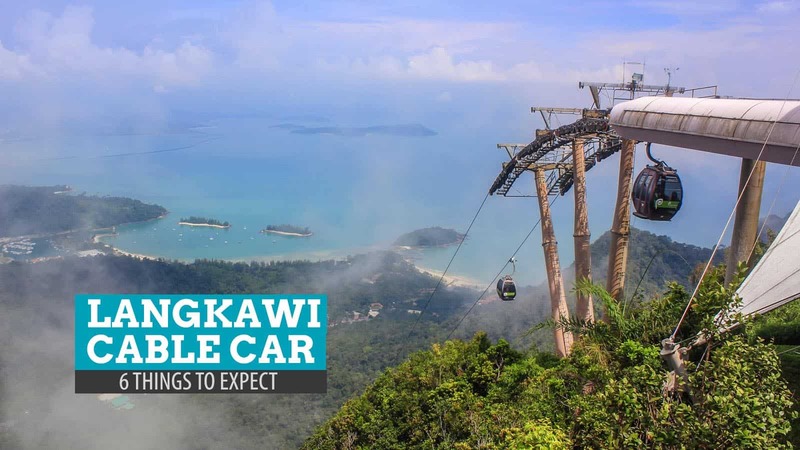 Panorama Langkawi Cable Car is one of the most popular tourist destinations in the island. Families and couples flocked the ticket counter located at the base of Mt. Cincang (Gunung Machinchang) expecting to be impressed by the views that were waiting for them. Expectations are high, of course, just like the destination itself. 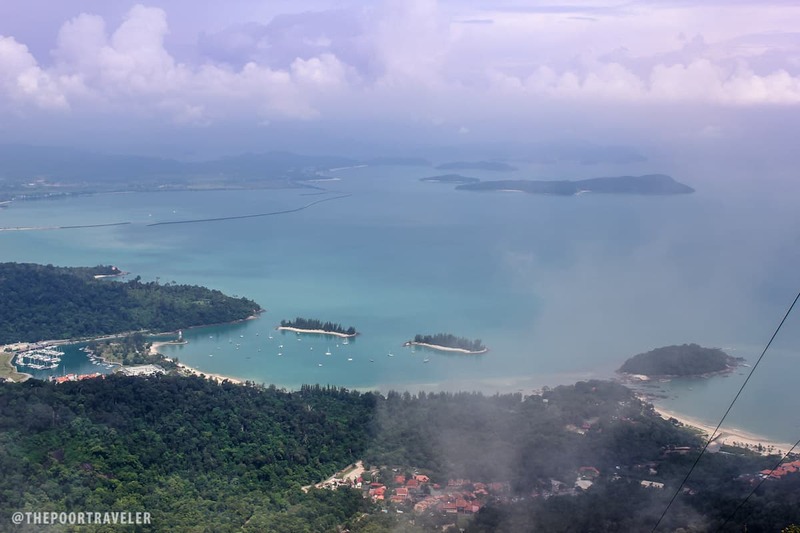 The cable car system, branded SkyCab, spans 2.2 km, a distance long enough for the experience to be rich and brimming with wondrous sights, especially over the dense tropical rainforest at the base and on the slopes of the second highest peak in Langkawi. Speaking of heights, the steepest gradient is 42 degrees, a little too scary for someone who had tried riding a gondola lift only once before. After a brief hesitation, I stepped into a gondola and let my eyes take everything in. The raindrops had blurred the glass walls of the gondola but the beauty of the thick greenery below shone through. 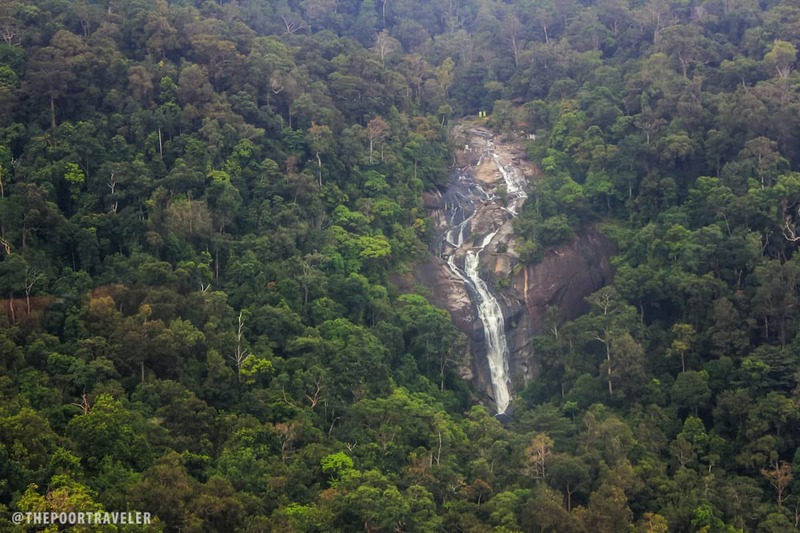 Two glorious waterfalls were easily visible from the top. The first was a tall, narrow cascade, but much of the view was blocked by the towering trees. The other was just pure beauty — the Seven Wells Waterfall, named such for the seven pools that broke the flow of the splashing water. I got a real nice, long look at the waterfall and the rocky path it sweeps through. The whole time I wondered whether these columns were even accessible, without realizing that the Seven Wells was actually quite a popular tourist spot, too. From afar I marveled at the sight of the mountain’s spine. It finally started to sink in on me that this was going to be a very steep journey to the Middle Station, 650m above sea level. The karst cliffs of the mountain were like immovable bouncers determined to block our way. But just when it seemed like we would be smashing onto the wall slowly, we floated over it at short distance as if we were invited to inspect the mountainside more closely. The sharp ascent was quietly insane. It didn’t give me the so-called butterflies, but I was such a relief when we reached the station. 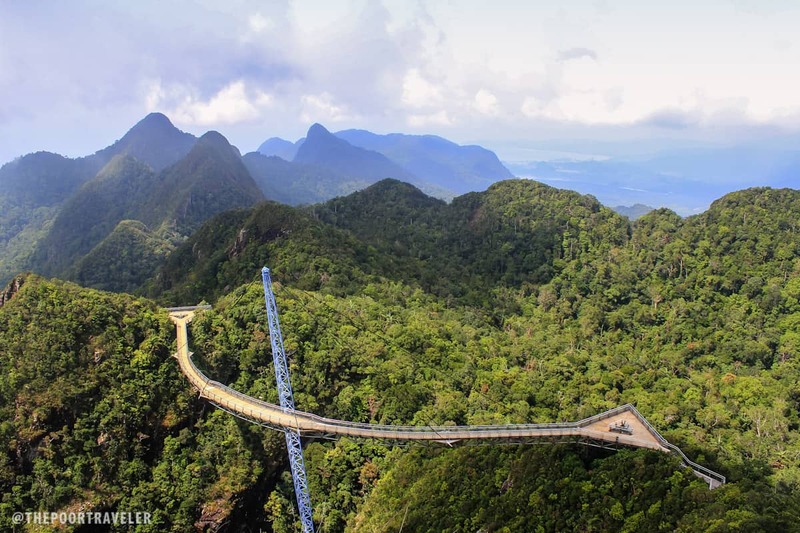 At 625.5 meters above sea level, the Middle Station allows visitors to be bombarded with magnificent vistas of the eastern side of Langkawi. From here, the little islets, pristine beaches, and detailed seascape can be much more appreciated. I felt the abrupt change in temperature here as it was much cooler and breezier at the middle station that the base, obviously. The view on the other side is still blocked by the highest peak of Machinchang, where the Top Station is located. 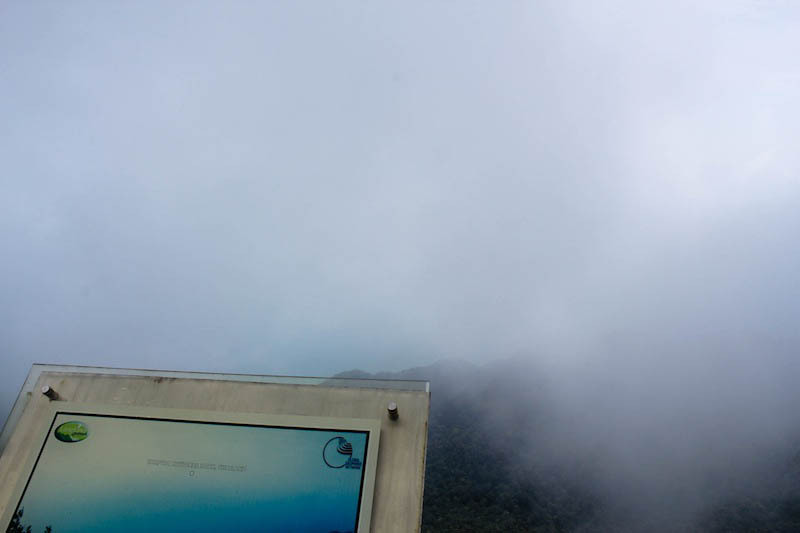 Seated on top of the mountain 708 m above sea level, the Top Station provides a 360-degree view of Langkawi. If you’re lucky and the clouds are in a good mood, you’ll also get to see parts Thailand. Unfortunately, that wasn’t the case for me. The Top Station is much more spacious than the Middle: there are two viewing decks connected by a bridge. One has two levels and at the top is a storm of images and scenes and ideas. 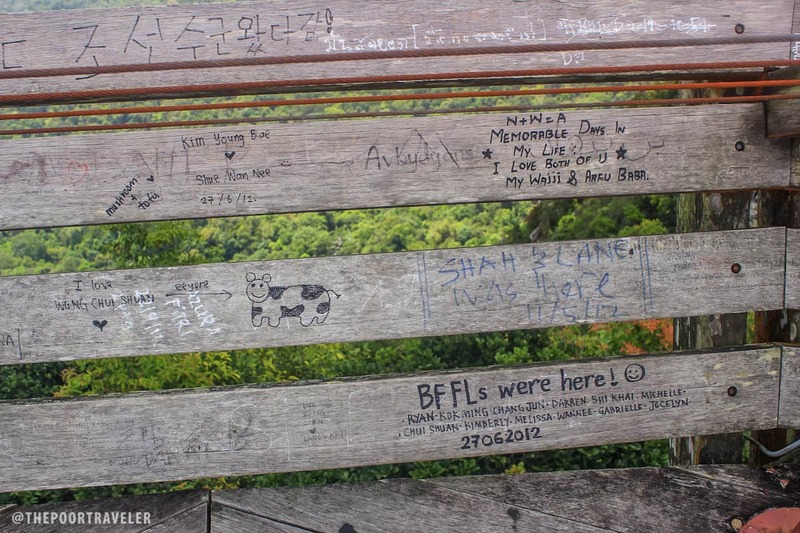 A long graffiti-covered bench runs around the site, a park floating over the clouds in a tropical highland paradise. If you’re lucky, you get to see Thailand. If not, then this is what you’ll see. Words of Accomplishment. Graffiti on the benches at the Top Station. It was like something pinched my side when I had my first view of the SkyBridge, something I was extremely excited about but was closed for renovation at the moment. I wondered what was in store there. Although it seemed impossible to us at the time, we decided that we had enough and that it was time to head back down. 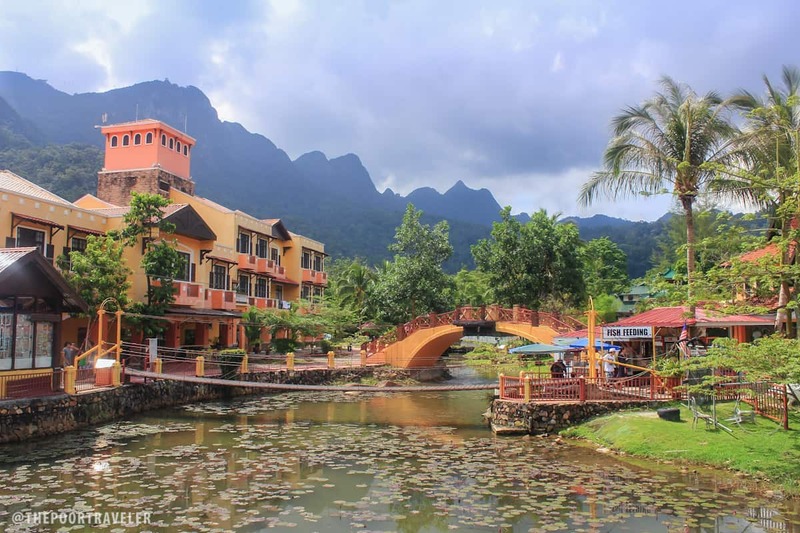 At the base of the foothills of the Machinchang is the Oriental Village, an adventure destination. 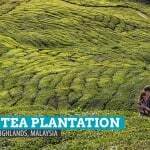 They offer a wide variety of activities including Segway tours, elephant rides, and ATV rides. I wasn’t really into any of those so I settled for the good ol’ walk around the area. The whole place looked like a theme park to me. Restaurants and souvenir shops are everywhere. I didn’t realize how much time had passed since we arrived at the site. We found our cab driver waiting for us outside the waiting room and eager to hear how much we enjoyed our trip to the top of the mountain. Tourists kept on flooding into the park. Kids were clearly thrilled. Parents were all smiles, just as excited as the children. Maybe it was just bad timing but I really wished there was more. Sure, the place was beautiful; I totally loved the views. Sure, the ride was fun; I thoroughly enjoyed it. But I was hoping a little bit more of interaction with nature, a little bit of sweat, of effort, of dirty work. I understand that it is something that gondola lifts hardly provide, but maybe that’s the point. It sounds like an overused breakup line: it’s not the destination, it’s me. It may just be my second time to ride a cable car but it felt like once was enough just to indulge my curiosity. It lacks something that I had become used to in my previous trips: the bitterness before swallowing, the run before the finish line, the climb before the summit. I didn’t want to just look at the waterfall from afar; I wanted to get drenched under it. 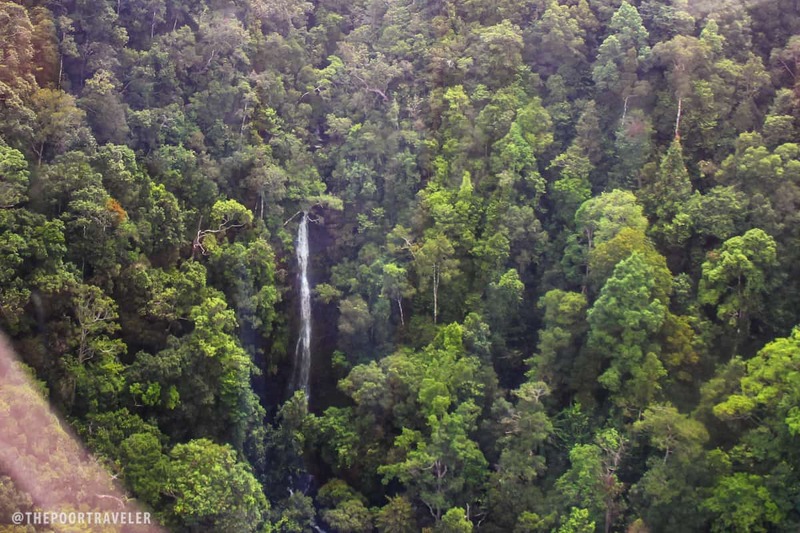 I didn’t want to look down to the rainforest; I wanted to touch it, feel it, get lost in it. Rides like this one, while absolutely scenic, felt distant and I was left desperately reaching for more. 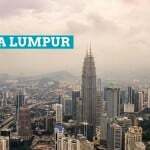 How to get to Langkawi Cable Car: From Kuala Lumpur, take the overnight intercity train to Arau Station. 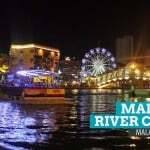 From there, take a cab to Kuala Perlis and then hop on the ferry to Kuah, Langkawi. 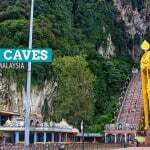 From Kuah jetty, take a cab to Langkawi Cable Car. How much is the ticket in cable car?